Incorporated on the eve of the PR & communication’s rise in Romania (1995), BRD Associates is responsible for the development of the first communication campaign abroad (Republic of Moldova) in support of post-privatization issues (1995), is the first Romanian PR agency to win an international bid and to open an office in the Republic of Moldova (2002) and also the first Romanian PR agency to affiliate in 2003 to a multinational PR company, Hill & Knowlton, part of WPP Group. 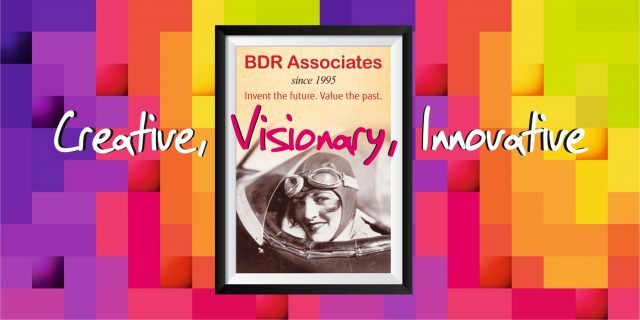 Moreover, with over 450 major clients served in over 24 years of activity in Romania, BDR Associates is the first agency winning an international award for the Romanian PR industry at SABRE Awards 2006, followed by numerous nominations in other international prestigious competitions (i.e. Stevie Awards in 2008). 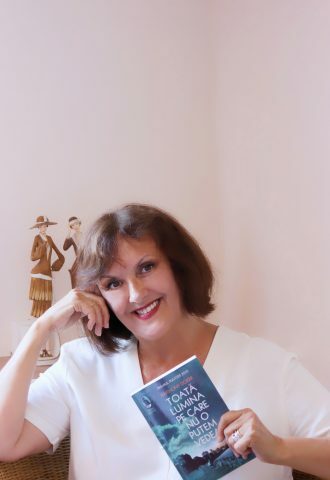 The agency also brought Superbrands Programme in Romania and published the first Superbrands Romania Book in 2006 and developed various projects for prestigious international bodies, such as: EU, USAID, UN, UNDP, UNICEF, World Bank, in Romania and in other markets. AdHugger talked with Catalina Rousseau, President & CEO at BDR Associates – A Hillt+Knowlton Strategies Affiliate, about the agency’s 2018, local trends and the local communication industry, as well as her perception on how 2019 will unfold and the possible economic crisis. How was 2018 for the agency? A fruitful year. We worked mainly at international level, assisting international clients with strategic communication and public affairs needs, facing issues or even crisis in Romania , other communication consulting requests. We were happy to communicate on some new and important investments in Romania, which can be considered as being a big plus for Romania nowadays, taking into account the unfriendly business environment, which may have been perceived as discouraging for other investors. One aspect which deserves recognition: we used the latest multimedia tools at the launch of one of these investments, and created a unique atmosphere in the middle of an empty field, to the great surprise and delight of participants among which many foreign journalists, from Europe and from the States. We also concluded a new and rewarding edition of the Superbrands Program for Romania, ending in a trophy awards gala which brought together the elite of the business community , and the top level bankers, of course. Titled “One Hundred Years, Centuries Ahead” the gala paid respect to Romania centenary brands through our original award moment , titled Honorary Recognition. A very good year for our office in the Republic of Moldova as well, where our registered Moldovan office has implemented several major projects funded by either EU or the World Bank , which are still running. We were also very privileged to offer our pro bono professional support for several beautiful projects proposed by either the Royal House, or the Prince of Edinborough Foundation, in cooperation with SPOHOM (the Spouses of Heads of Mission in Bucharest). How was the pitches situation? Challenging indeed! We have participated in several pitches organized by multinational companies from FMCG and various industries, or by local ones which were looking for visibility, being listed among the finalists. We were also shortlisted, at larger international level, and became the happy winner of a very competitive pitch (to our knowledge 8 agencies participated in it ), following the live presentation delivered by our team, which traveled to Switzerland for the final phase. How would you characterize the local communication industry in 2018 in terms of budgets, campaigns, creativity, etc? I could not speak on behalf of the industry, as I have not much information in this respect. As for BDR, I can say that budgets were in general wisely created by our clients, in order to insure the necessary communication support that they needed, at a time when taking precautions has become strategic thinking, in order to survive and prosper in unstable and unpredictable business conditions. We fully understood our client’s needs and adjusted our policies accordingly. What were the most important changes & novelties in the agency in 2018 and how did they come to happen? No major changes. We are a very stable agency, with no significant movements regarding the staff , stability being one of our values generally appreciated by clients. Novelties , yes: apart from our long lasting partnership with the Hill+Knowlton Strategy network , we have significantly increased cooperation with other global consultancies like FTI Strategic Communications, including in the Republic of Moldova. Such exposure to international work contributes significantly to our professional performance, as we keep learning, through being connected to the PR global world and its latest trends and practices. One key novelty for BDR is our contribution as full rights member in ARRP (the Romanian Association of Public Relations) , mainly after its affiliation to ICCO, the largest global organization of PR agencies. What were your most wanted services by the clients in 2018? Public affairs, and related specialized services ,corporate PR, issue and crisis management , media relations, digital PR , along with big events targeting the business community from various industries. Also national communication campaigns , or CSRs for improving educational system, initiated by clients from healthcare , or FMSG. Actually creative services have become a must in each and every communication task we had to deliver, not only when speaking about branding, content or visuals . This made the difference, in comparison with the previous years. How is BDR Associates positioning on the Romanian PR market? I think that our constant values, our ethics, and business conduct in general, our high quality consulting work, as well as the results constantly delivered, have proved in time to be the winning approach, when looking for professional performance. We are among the industry leaders since so long time, and were privileged to received such high recognition primarily from the clients that we served along the years. Clients appreciate more and more the responsibility proven by the agency when proposing a strategic or a creative approach, they need to rely on our advice as being the right one for their success. How do we manage to do that? Through constant documentation and research in our effort to always have a deeper understanding of the client’s culture and of its business objectives, but, also, through placing the client’s needs and objectives in the wider context of the economic , social, political and even geopolitical evolution sometimes. Companies today need those KPIs which make the difference for their marketing and business policies in Romania in a competitive and tough market. What were the biggest campaigns you worked on? I choose here to speak less about our agency campaigns and clients, and refer mostly to our involvement the outstanding initiative taken by ARRP regarding the fake news phenomenon which worries the whole world and impacts our lives. In 2018 ARRP initiated and organized the first international conference on Fake News, which has ever taken place in Romania, putting thus fake news on the Romanian agenda as a major concern, in line with existing preoccupations in all European countries, or in the USA. ARRP has done a great job by bringing together reputable local and foreign speakers from among communication specialists, opinion leaders , officials , diplomats , MPs or media. The event generated important echoes in the media and had international impact. The next edition of the ARRP conference on the Fake News topic will take place this year. I invite you to follow up on that. What were the campaigns you admired in the local industry and why? What trends did you notice on the local market? I chose to speak about originality and creativity with no budgets. I was really impressed by the campaign developed by the Faculty of Philosophy during summer and autumn last year , and I congratulate the strategic thinker behind it! One special mention goes to the Swedish embassy, for its so original way of conveying strong messages in such subtle way, sometimes with refined humor. What types of clients are you looking for in 2019? We will always be happy and honored to assist those clients who keep looking for value based performance. Those clients who not only need but also respect our professional advice, teaming up with our consultants for successful results. We were so fortunate so far , as our past and current clients are of the kind. Even when they urge us to go beyond our limits as their deadline was “yesterday” , we still feel good and welcome such excellent professional training. What do you wish for 2019 from this point of view? We wish healthy business for companies and investors of all kind, in Romania as their business prosperity makes our business grow. What do you wish for the local industry this year? I do wish agencies to stick together, especially when hard times come, I encourage all leaders in our industry to join great associative ideas in our common interest to do our best in assisting clients. Do you believe a second economic crisis will come? I think that we are already facing the crisis. Yet, the PR consultants can help companies a lot, through innovative communication strategies. If so,how will it effect the Romanian PR industry? Agencies will have to be more responsible , more innovative , more creative in what concerns their own business. Undoubtedly the communication industry is very strong today, their leaders are confirmed ones and have followers, therefore even if profitability may be affected by a new economic crisis period our industry will for sure survive, and will be reborn as the Phoenix bird from its ashes. What have you learned from the last crisis and how prepared are you for a new one? Our choice was to dare try new ways of getting business, through developing new competences and focus on certain professional skills which proved to work in crisis period, we also invested in promoting these competences and skills as taking the risk in harder times helps along with wise planning of resources and team work. New crisis means creativity and innovation put at work. We will overcome:-) Thank you . Previous Post GlobalWebIndex study: Romanian internet users are still watching more classical TV programmes than online TV programmes Next Post Startup Europe Summit 2019 to take place in Romanian Cluj-Napoca on 21-22 March.